As industrial materials go, plastic has suffered a pretty bad reputation in the past. Many consider it to be a material that has a negative effect on the environment, or that it’s cheap and therefore would be easy to assume that plastic flooring is of poor quality. Truth is, these assumptions are incorrect. Plastic/PVC flooring has far more benefits than other flooring alternatives. Workers from industry assume that plastic is hard and doesn’t have the ‘give’ of rubber or foam. In fact, plastic PVC tiles are incredibly flexible and provide far more effective cushioning than rubber flooring. 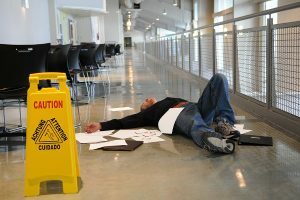 It’s well known about the long term health effects of standing on hard floors such as concrete for long periods of time. Consequently, softer flooring such as foam can also be too soft, offering no resistance and have limited stability. Plastic flooring offer the best of both worlds: strength and resilience needed for heavy duty traffic, while providing the right amount of cushioning for anti-fatigue purposes. High shine surfaces such as polished concrete becomes slippery when wet. Plastic flooring provides a smooth surface with anti-slip properties and is a safer choice for work areas exposed to oil, grease, dust or water. For areas with a greater amount of spillage, raised disk PVC tiles provide even more protection. Chlorine molecule ingredients used to make plastic flooring makes it fire retardant. If a fire does occur, plastic flooring will release less combustion heat and rather than spreading the fire, will char and burn out, helping to keep the fire under control. Since PVC plastic is a man-made material, it can’t be good for the environment, right?! Wrong! Researchers places a particular emphasis on its safety, plastic is less reliant on non-renewable resources such as gas and crude oil in its production. PVC floor tiles are 100% recyclable and their durability means they have a longer life cycle, which in turns means they have a lower carbon footprint than other types of recyclable materials. For more information on the benefits of PVC plastic flooring, contact Ecotile today.